Ergoseating has developed a chair that can be used for Zen meditation even by those who have difficulties in floor sitting in the full-lotus position, in collaboration with a Soto Zen temple in Los Angeles in 2006. The chair was designed so as to secure the body’s stability and stress-free condition necessary for Zen meditation. In order to realize maximization of the sitters’ contact area, we developed a three-dimensional curved plywood modeled after the buttock shape of the human body. Reholz GmbH’s plywood bending process technology, Dresden, was used to form the three-dimensional curve representing this shape. FIG. 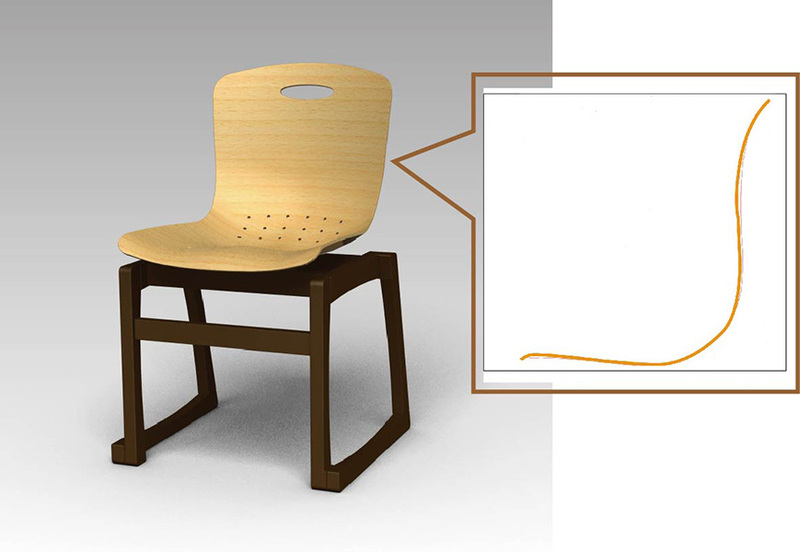 1 shows an entire picture of the chair with a contour of its central line. In October 2017, two chairs were donated to the Jogyo-do, a Zen meditation training hall, of Shoshazan Engyo-ji Temple of the Tendai sect. The video footage shows the vast and unique cathedral of the temple, one of the most famous Japanese temples in Japan, along with Amidanyorai, a Buddha image (produced in 1005), placed in the Jyo-gyo do. Zen meditation is conducted on the floor close to this Buddha statue. 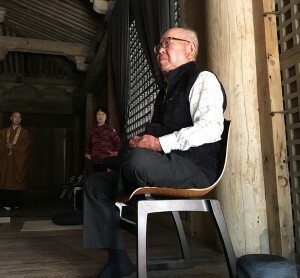 Picture 2 shows an old man using the chair to sit for meditation in the half-lotus position.